Dr. Lapidus is a general dentist for adults and children. He has a particular interest in Prosthodontics — the restoration and replacement of natural teeth to maximize function, comfort, appearance and overall oral health. Dr. Lapidus follows his father, Dr. Charles Lapidus, and grandfather, Dr. Frank Lapidus, as the third generation to enter the dental profession. 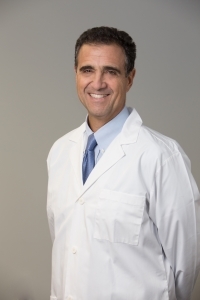 Dr. Lapidus is a seasoned teacher at Harvard Dental School. He recently was named the “Best Part-Time Lecturer” chosen by his students, and the “Best Part-Time Faculty Member” chosen by the faculty. He practices all phase of dentistry with extensive experience in cosmetic dentistry and prosthodontics, root canal therapy, and most recently sleep apnea. He also has specialized experience treating the fearful dental patient and ensuring that their dental visit is a tranquil one.